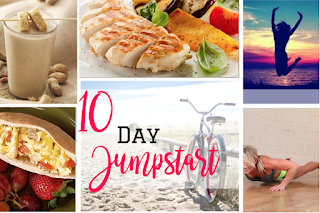 Join me for 10 days to jump start your health and fitness! In this 10 day program, we will focus on making some nutritional changes and set you on the path to build new healthier habits. Accountability is the missing piece of most weight loss programs, and with this, you will have it DAILY! We will help you get results by providing the tools, support and accountability you need. 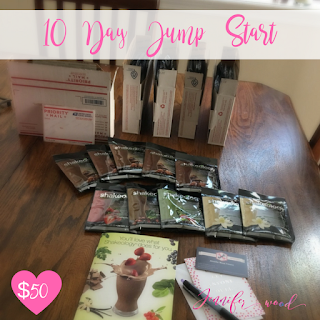 You will get a meal plan, 10 packets of Shakeology, 1:1 coaching from me and peer support from other like minded busy moms who are working on their own health and fitness goals just like you! We will also help you set goals, lean how to meal prep and plan for success. And give you clean eating tips and tricks to navigate upcoming bbq's, birthday parties and more without blowing all your hard work and weight loss goals. You will be encouraged to get active for 30 minutes 8 out of 10 days during the program. This can be any form of physical exercise to include: walking, running, yoga, pilates, or at home workout programs. We start September 11th. Read on for more info! "... 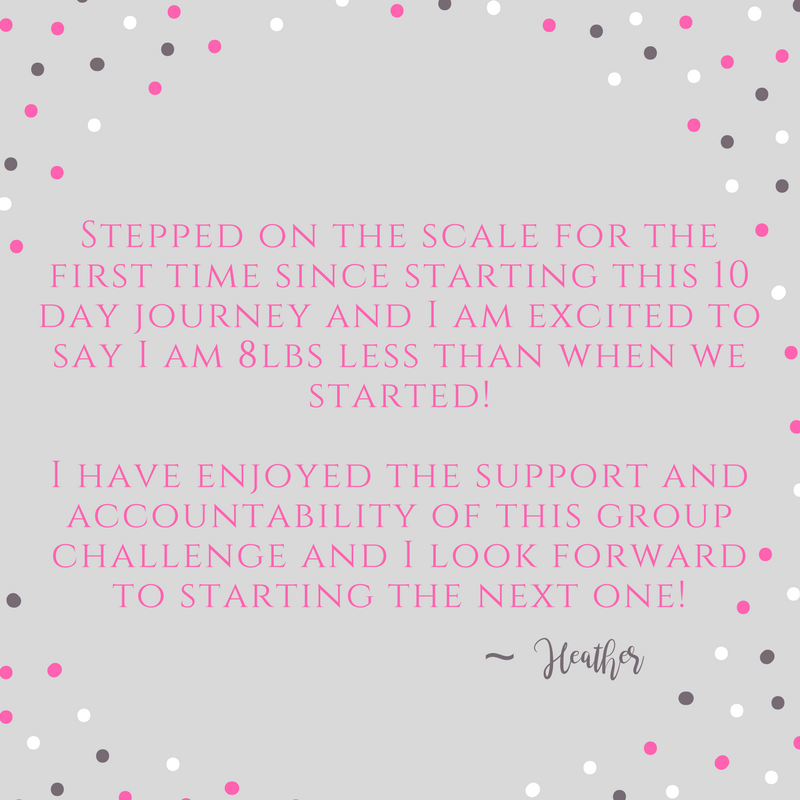 I HAVE LOST 5 pounds in the last 10 days!!!!! ~ Happy Client! 10 packets of Shakeology to replace one meal a day. Variety of flavors and now including Vegan flavors because they are tasty! A SMALL PRIVATE Facebook group for support, accountability and encouragement and daily interaction with a small group of other busy moms just like you. Guidance and encouragement from me and other fitness and health professionals. 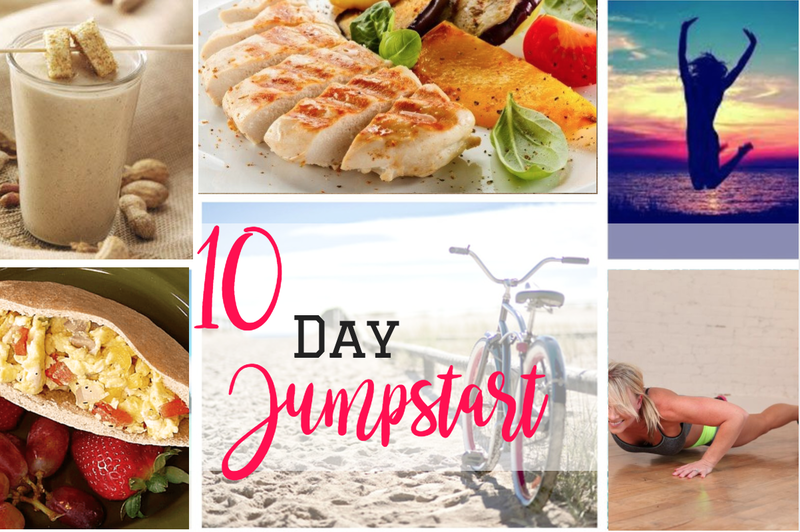 Daily motivational posts, mindset and goal setting, clean eating tips, nutrition tips, how to still enjoy your favorite foods without blowing all your hard work, videos and more! Shipping is $7.15 (includes 3 day shipping and insurance) Live in the Savannah area, save on shipping! Email me, or click the apply here as soon as possible to lock in your spot, or to learn more. *Shakeology will will fill in those nutritional gaps, help increase energy, and help reduce cravings. Most clients see a large reduction in bloating, increased digestion, increased energy, and really notice less body fat overall in addition to the weight loss. It has also been clinically proven to help with weight loss, IBS, Colitis, digestive and stomach pain issues, lower cholesterol and help keep blood sugar levels more stabilized throughout the day, so it is wonderful for diabetics and also helps those who have had weight loss surgery to absorb nutrients, have more energy and feel better overall. I look forward to helping you achieve your fitness, health and weight loss goals.